Cruising Unlimited was created to provide cruise and vacation planning based on the personal touch and product knowledge. There are so many varied cruise lines, all inclusive resorts, hotels, transportation options available and the average person isn’t prepared and doesn’t have the time to find the best options for themselves. 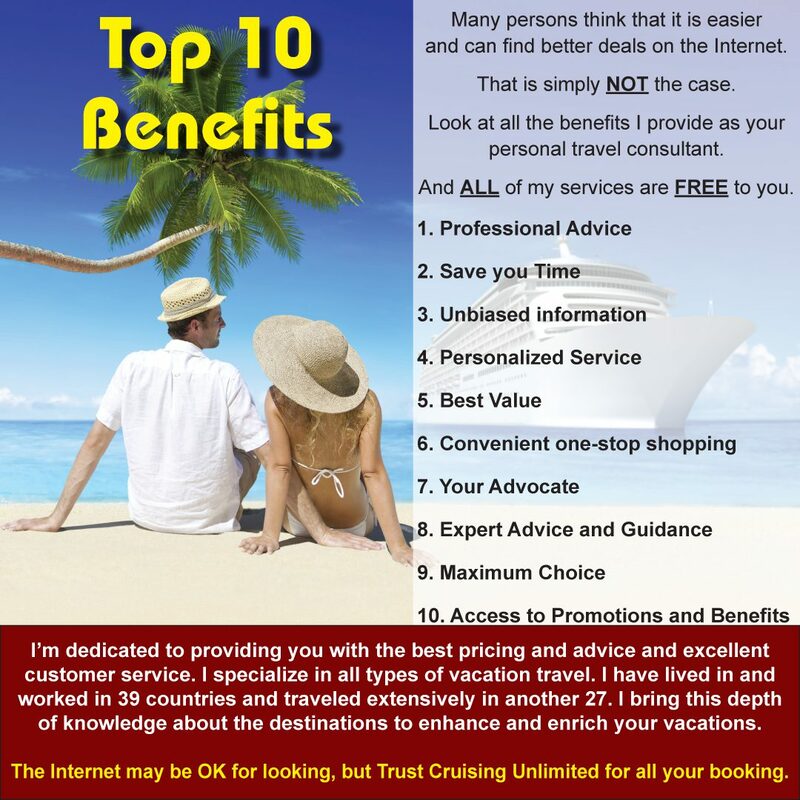 In Cruising Unlimited, we are committed to taking each customer one at a time and dedicating the time necessary to find their perfect vacation option. The company was founded by Tony Fiore.